Long Fangs are Space Wolves who have survived centuries of war. As the most steady of temperament, Long Fangs are entrusted with heavy weapons to protect their Space Wolf brethren with covering fire. To represent their experience and battlefield wisdom, all Long Fangs have an increased Leadership characteristic while the eldest Long Fang is able to direct the squad’s fire, allowing Long Fangs to split their firepower between two different targets. Unlike the Devastator squads of other Space Marine armies, the heavy weapons of the Long Fangs are considerably cheaper. Perhaps this is because no other infantry units in the Space Wolves army are able to carry them? Whatever the case, this makes Long Fangs a very viable and cost effective Heavy Support choice if equipped correctly. 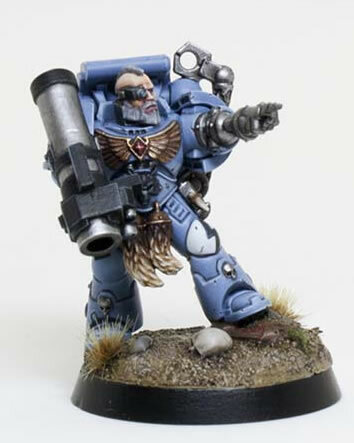 The Long Fangs squad leader also has access to a number of special weapons and every Long Fang has the universal Space Wolves special rules, which are Acute Senses and Counter-Attack. Overall, the humble missile launcher really comes to the fore in the Long Fangs pack. While some people love hordes of heavy bolters, I’m not a fan, especially now that its AP4 shots are somewhat redundant when everything seems to get a 4+ cover save. The multimelta is a great anti-tank weapon, but it should never be given to a static or slow moving unit. The plasma cannon can be fantastic, but when you’re spending 35 points for a model to be armed with one, it’s a big investment, especially when you’re likely to get killed firing it. That leaves the lascannon. Long range, high strength, low AP. Bane of tanks, monstrous creatures and Independent Characters. But at twice the cost of the missile launcher and not nearly as versatile, it’s reserved for dedicated tank hunting which the overwhelming number of mobile melta guns in the Space Wolves army should be more than capable of taking care of. So there we have it. The missile launcher is king of the heavy weapons because of it’s versatile use, long range and reasonable points cost. For a few points more, you can max out the squad and get another guy with a missile launcher. Well worth the points, especially when it’s an extra only the Space Wolves can have. For even more firepower, why not add a Wolf Guard in terminator armour with a cyclone missile launcher and a storm bolter to boot. Costing just 63 points, he’s a little more than 2 extra Long Fangs (which you can’t field anyway), but with his 2 missile shots, storm bolter, power sword and terminator armour for catching the odd krak missile and other high strength hit and he’s well worth his points. If there’s one thing Long Fangs love, it’s Razorbacks. Transport capacity is rarely a problem, so why not pay 5 points more than a Rhino for a pair of twin linked heavy bolters? Although in my personal experience, only a mass of mobile heavy bolters really inflicts any serious damage. But would you pay a total of 75 points for a razorback with a twin linked lascannon turret? Compare it to the cost of a Landspeeder and you just might. Because your Long Fangs are never going to use the Razorback, it essentially becomes a free Fast Attack choice bolted onto your already cost effective Long Fangs squad as a Heavy Support choice. 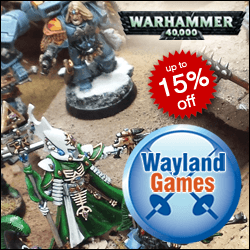 When a single Long Fang with a lascannon costs 40 points, maybe it’s not such a bad deal? It’s a great way to get some accurate lascannon fire into the army. One very tempting, but expensive idea is to get Logan Grimnar and attach him to a unit of Long Fangs armed with missile launchers or even lascannons. His ability to confer the Relentless and Tank Hunter skills to the unit he joins, can make Long Fangs devastating. However, the Chapter Master of the Space Wolves isn’t cheap, so he’ll have to be especially destructive to make him worth the points. Damn, that’s a lot of points! But you can move 6″ on from the board edge or move into cover whilst firing those heavy weapons or stand still for the Tank Hunter ability, effectively making the lascannons Strength 10 against vehicles while the cyclone missile launcher goes up to the equivalent of Strength 9 against vehicles. 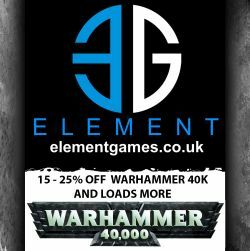 Long Fangs are cheaper than other equivalent Heavy Support choices from the Space Wolves Codex, which makes them an excellent choice for any Space Wolf player from the most competitive tournament player to the player who embraces the background and all its quirks regardless of cost. As for Logan Grimnar leading a maxed out squad of Long Fangs with all the trimmings. That’s a heck of a lot of points and it’s going to need some play testing to see if it’s really worth doing. The razorback with twin linked lascannon seems to be a safe bet though.